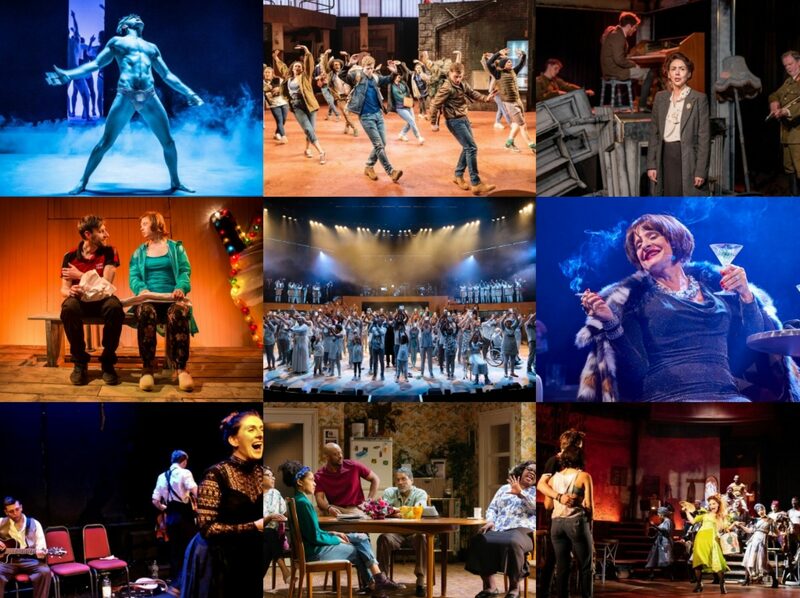 Featuring the vocal talents of Michael Cantwell, James Gillan, Niamh Perry and Claire Moore, and showcasing the work of musical theatre writers both established but primarily up and coming, A Song Cycle for Soho marks yet another feather in the cap for Mercury Musical Development, Simon Greiff and their sterling support for the genre. MMD has long been an invaluable resource for British musical theatre writers and Simon Greiff through SimG Productions has been tireless in his promotion of younger names and so there is something very apt about their collaboration here. 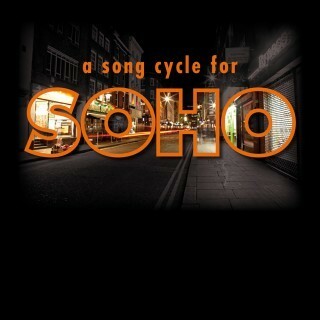 A Song Cycle for Soho developed out of Andrew Brinded’s original book which cast a bit of a sideways glance at Soho, an area of central London that is teeming with debauchery,history, character and a whole lot more besides. 16 set of songwriters were then invited to compose works that captured the multitudinous quirkiness of life in Soho and the result is a collection of songs that cover history, both recent and long ago, and the modern day; comedy, quiet tragedy and the whole gamut of crazy emotions inbetween. Though the leaps between songs may ostensibly seem huge, director Greiff along with Sarah Travis’ musical direction from the piano weave subtle connections between them to pull the 70 minutes together into a most satisfying whole, diverse but cohesive. We glide from the dark comedy of Alexander S Bermange’s corpse-wrangling ‘It’s Hard To Be An Artist’ to the lonely waitress of Christopher Hamilton and Susannah Pearse’s plaintive ‘Does Anybody Know My Name?’, from the alternative perspective on the Krays in Christopher Ash and Carl Miller’s highly witty ‘Self Respect’ to the quiet introspection of Dougal Irvine’s ‘The Ballad of the Horsely Brothers’. With such a broad canvas, it really is impressive how so many nuggets of neglected bits of story have been unearthed here to such interesting effect. Making it work too was the strength and flexibility of the ensemble of four. Whether in duet, trio or full quartet, their voices meld together beautifully time and time again, whether in the comic business of the Claire Moore-led cougar drama ‘Mummy Knows Better’ or the cabaret stylings of Pippa Cleary and Jake Brunger’s ‘Hey Beautiful People’, one of the evening’s highlights and not just because of the way in which Grindr was neatly inserted to a rhyming couplet! Claire Moore (soon to reprise London Road at the National) was superb throughout as was Michael Cantwell, evidently relishing the opportunity to stretch his comic muscle. Niamh Perry could have perhaps brought a little more volume to some of her numbers but somehow retaining the fragility that works so well too, and the gorgeously smooth-voiced (I loved his Stiles and Drewe number, I wish I wish) James Gillan sparked with obvious chemistry with everyone, including half the audience. So a fantastic showcase for some of our most exciting new musical theatre writers, some you know some you may not, but all of whom you should try out by going along to the Soho Theatre’s cabaret space downstairs before the end of the week. And looking back on the Soho theme, I really admire the lightness with which it was observed. In some ways what could be perceived as a weakness – the generic nature of some of the songs which focus on themes of loneliness and anonymity mean that they could apply to someone living in almost any metropolis, not just London – is also a strength, in creating a sense of universality which suggests a healthy future life both for these songs (which will be released soon on CD) and for these writers.